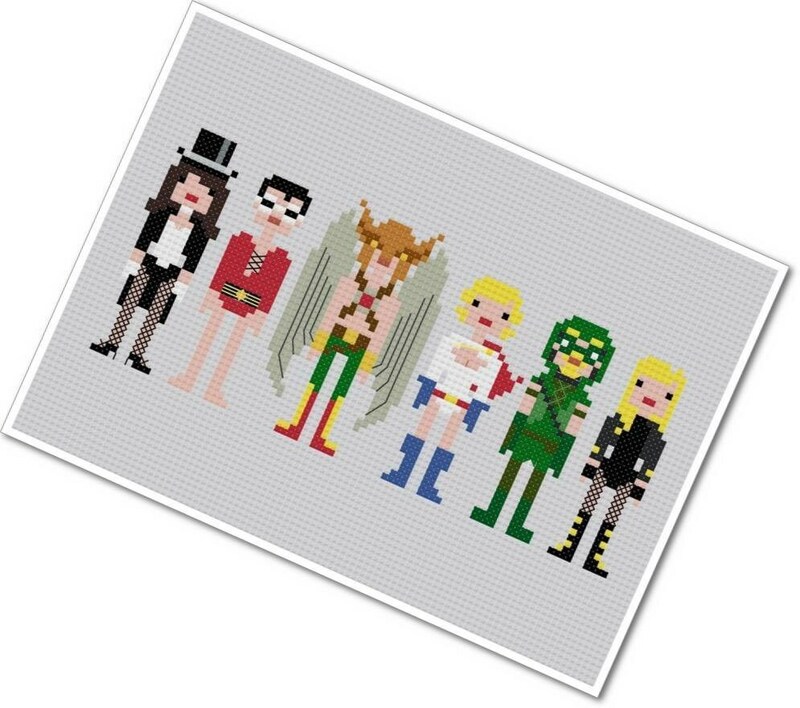 There have been so many great members of the Justice League over the years that it's always been hard for us to choose our favourites! 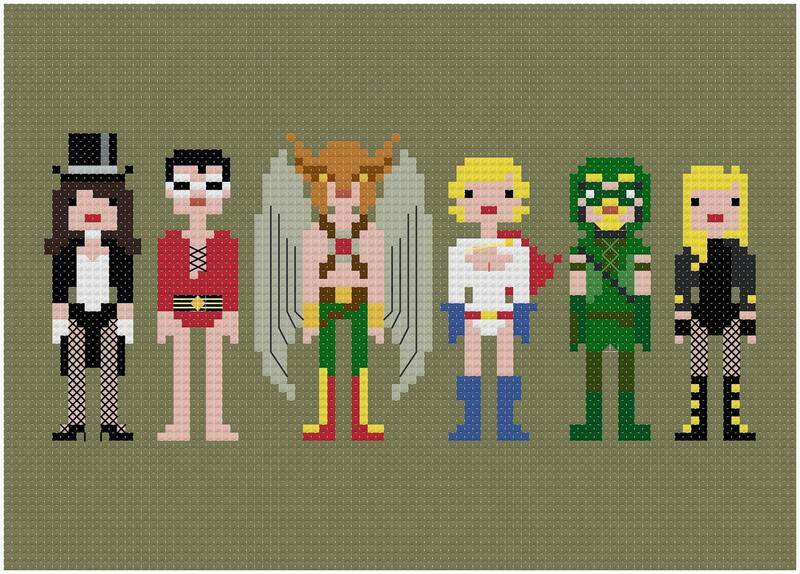 If you were missing any of your favourites from our original pattern, perhaps you'll find them here. 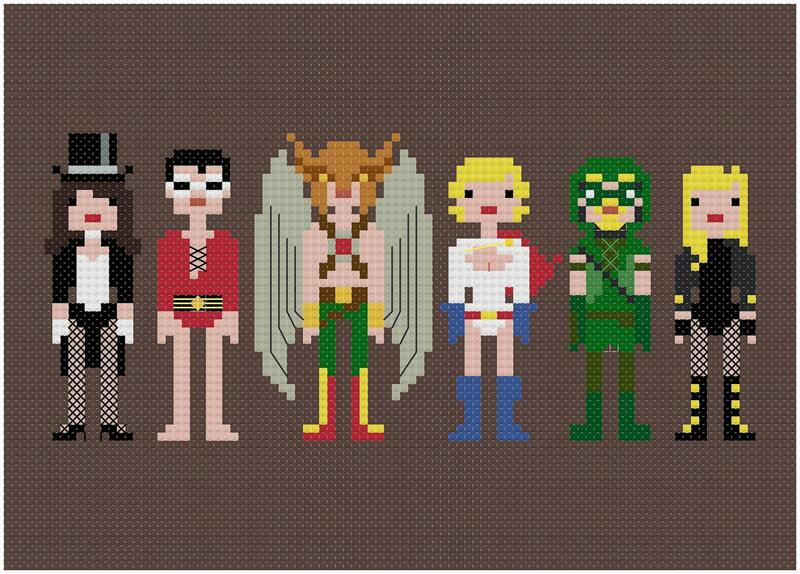 Featuring Zatanna, Plastic Man, Hawkman, Power Girl, Green Arrow, and Black Canary, this stitch the perfect addition to your comic book art collection!